This brilliant Cape Cod is one neighbors, family and friends can't miss. The classic dormers are iconic and bring amazing detail to the home. Brick and siding come together giving the home even more character. The wide front porch makes for a good place to spend summer evenings. Coming into the home, the expansive great room offers features like trayed ceilings and a gas log fireplace. Built-ins add an extra detail to the home. The open floor plan concept is smart and efficient. It makes home traffic a breeze. Guests will be in awe taking in the spacious home. The kitchen is open to the dining area and the dining area leads to the rear covered porch and outdoor kitchen. The master suite is split from the other bedrooms. The master bath has all the luxury features for relaxation. There is a standing glass shower a garden tub. The dual vanities and separate closets give added room to spread out. Other features are the media/hobby room, 3 car garage and plenty of storage. The added bonus room gives option for a game room or an extra bedroom. There are 3-bedrooms, 2.5 baths and 2000 living square feet. 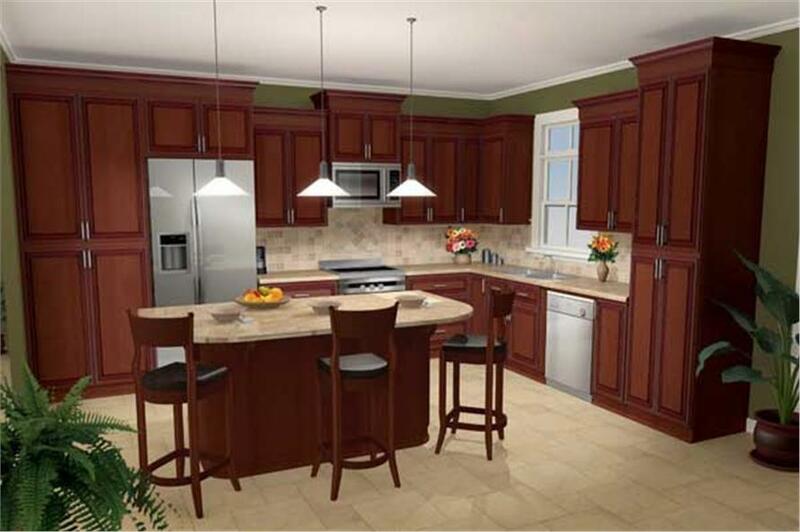 To view this plan with a basement foundation, please see House Plan #141-1048.